We all know about financial fraud and scams – or do we? Think again. Most people think they wouldn’t fall for a fraudulent text or email, but criminals are more sophisticated than ever. Take the test on the Stop Fraud website to see if you can find the fraud and know when it’s time to say ‘My money? My info? I don’t think so’. Banks and other financial service providers work hard to protect their customers – in the UK in 2016, their innovative systems stopped £6.40 in every £10 of attempted fraud. Financial fraud losses totalled £768.8 million in 2016. Clearly, something needs to be done, and FFA UK and Her Majesty’s Government don’t believe this ‘thing’ has to be complicated. In fact, it can be as simple as encouraging people to take a moment to stop and think. Many people may already know the do’s and don’t s of financial fraud – that no-one should ever contact them out of the blue to ask for their PIN or full password, or ever make them feel pressured into moving money to another account. The trouble is, in the heat of the moment, it’s easy to forget this. After all, trusting people on their word is something everyone tends to do instinctively. If someone says they’re from your bank or a trusted organisation, why wouldn’t you believe them? Before you take their word for it though, Take Five a national awareness campaign led by FFA UK (part of UK Finance), backed by Her Majesty’s Government and delivered with and through a range of partners in the UK payments industry, financial services firms, law enforcement agencies, telecommunication providers, commercial, public and third sector, urges you to stop and consider whether the situation is genuine – to stop and think if what you’re being told really makes sense. This entry was posted in Get Involved / Have Your Say, Staying Well and tagged West Yorkshire Police, West Yorkshire Trading Standards. The SAFER project is an award winning Big Lottery Funded community protection and empowerment programme, supporting older adults (55+) in West Yorkshire. The project aims to provide residents with the knowledge, skills and confidence to protect themselves against Doorstep Crime and Scams, helping them to feel safer in their own homes. The project also offers free, confidential 1 to 1 financial advice, helping residents to manage & clear debts and provide assistance to help claim benefits. Their latest newsletter can be downloaded here and further information can be found by emailing safer@wyjs.org.uk or call them on 0113 393 9809 or visit them on www.facebook.com/SAFERproject. Fraudsters can be convincing and claim to be your bank. They may say there has been some fraudulent transactions on your account, or even request you transfer monies for safety. * Send you an email with a link to a website that asks you to input your personal information. If in doubt check it out – ring your bank on the number from your bank statement or on the back of your card not a number that the scammer may have given you. 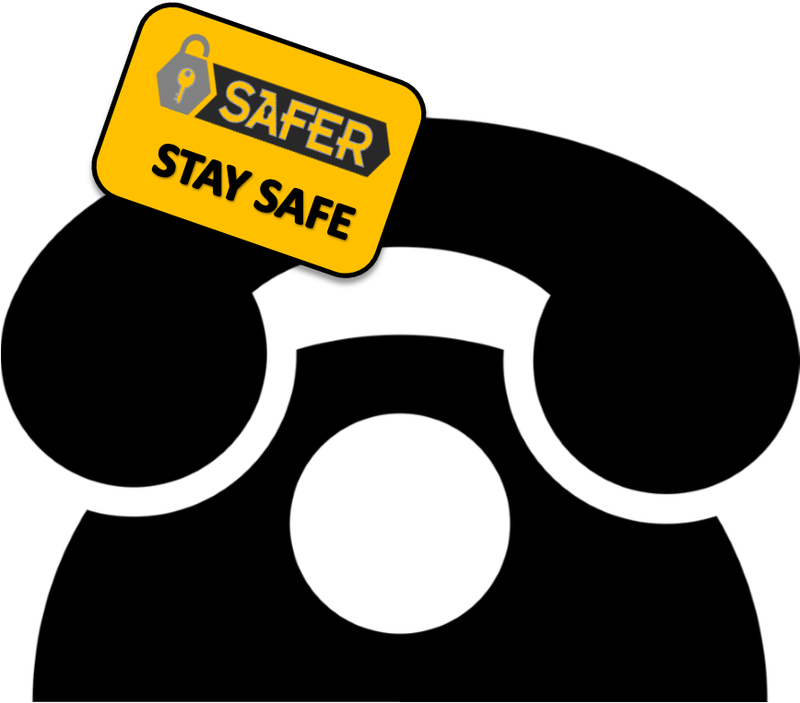 Don’t ring back straight away as the fraudster may have kept the line open – better still call from a different phone. This entry was posted in Get Involved / Have Your Say, Health, Projects, Staying Well and tagged SAFER Project, West Yorkshire Trading Standards.